Today we discuss party drugs with Izzy Dag and Jordie Barrett. The boys both agree that MDMA is a fantastic way to get the party started, Jordie had a ‘bad batch’ during a South African road trip in 2016 and was found frothing from his mouth and in the foetal position in the Pretoria Intercontinental lobby toilets at 7am on game day. ‘When it comes to a post match wind down, nothing is better than the feeling of rolling up a bud of whackie backie’ says Jordie. Legend has it that one time Richie McCaw lent Dan Carter his Bong and he is still yet to return it! Dan claims to have lost it but Joe Rokococo swears he saw it in France on night on the pills. Number 3 is LSD. Coach Todd Blackadder has thrown out the traditional halftime oranges and instead has grown his own mushroom garden out the back of his 1960’s do-up. Izzy tells us this is to make sure we come out of the tunnel on a trip and and elevated mood so we can hit our straps in the second half. 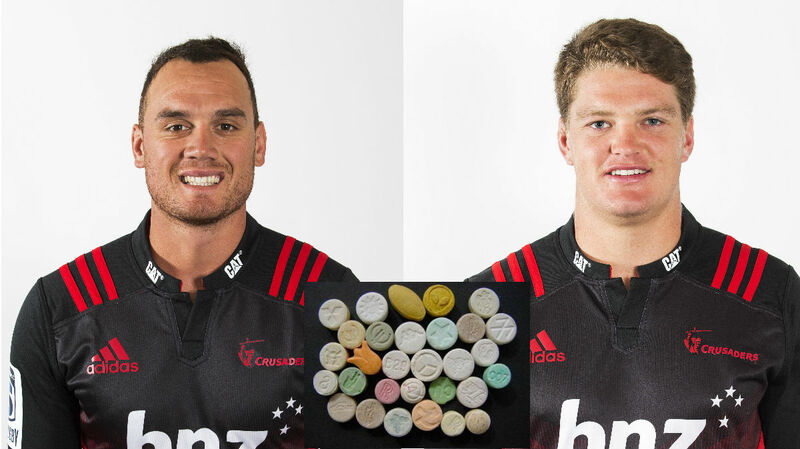 At number one is the crusaders favourite party drug, Cocaine. If you look carefully at the halfbacks sock there is usually a small bulge which conceals a small packet which is a long standing Canterbury tradition. Justin Marshall once embarrassingly lost it on the field and stayed out till 1am on Jade stadium looking for it. Lost your mojo team. Maybe you need to try some or all of the described drugs to get it together again. Don’t knock the Mighty All Blacks —- even in very poor jest.